Or Wait For Them To Get There? But You Won’t Save Time or Money if You Do It Wrong! But without the right information, you might not get it right the first time. You might get the wrong parts or install them incorrectly and so waste your time, money and effort. And the wrong sprinkler heads can cost you even more with higher water bills! So I’m here to help prevent sprinkler repair problems from happening to you. It’s a fact, sometimes…what you don’t know costs you a lot more than you anticipated! I have owned and operated a prosperous landscaping business for 12 years with over 18 years experience installing all sorts of home lawn sprinkler systems, large residential automatic sprinkler systems and even large irrigation systems for golf courses and similar in ground sprinkler systems. I have repaired sprinkler systems and fixed do-it-yourselfer problem repairs. I get calls every day about problems people have with trying to repair their own systems. While training over 100 of my employees, I have developed the patience to explain things thoroughly and clearly. So if you are looking for guidance on your own do-it-yourself sprinkler repairs you have come to the right place. 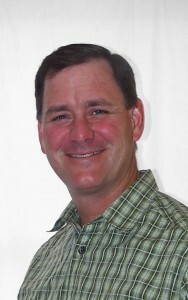 I’m here to answer all your questions and get your sprinkler system repaired right the first time. I’ll show you lots of short cuts to save you time, money and effort. Please read on to find out how easy it is to repair your own diy sprinkler system and even winterize it too! You’ll be amazed at how easy sprinkler repairs are when you have the right information — and having the right information can save your from any sprinkler repair problems you might encounter. I guarantee it. You’ve seen it before, you walked outside and were outraged to find that some idiot ran over one of your sprinkler heads! It’s been a week since you called the repairman and Joe’s Sprinklers finally showed up. It takes him all of 8 minutes and he hands you a bill for $60. And Keep Your Hard-Earned Money! It’s Easy to Repair Your Sprinkler System Yourself! And you’ll SAVE MORE MONEY By WINTERIZING YOUR SPRINKLER SYSTEM YOURSELF! You’ll save $60 to $100 or more on each service call by doing simple sprinkler repairs and winterization yourself and that’s money you can put back in your pocket! BUT although you will save a considerable amount of money you’ll also save the time and hassle of waiting for your sprinkler repairman to arrive! And that’s worth a lot too! Your biggest benefit is your SATISFACTION – KNOWING YOU CAN REPAIR IT YOURSELF! You’ll be amazed HOW EASY IT IS TO DO SIMPLE SPRINKLER REPAIRS TO HEADS, VALVES AND EVEN LINES AND WIRING PROBLEMS! Yes, that’s right, I’ll even show you how to troubleshoot controller and wiring problems too!And as an Added Perk I’ll show you how to start up and winterize your sprinkler system! Just think of the money, time and effort you will save once you know how to start up and winterize your sprinkler system. No more waiting and worrying about your sprinkler freezing up waiting for the sprinkler contractor to come and winterize your system. And in the spring you’ll be saving even more when you can turn it on yourself!SAVE that $60 to spend on something you want or need more! … AND THINK OF THE PLEASURE AND LESS STRESS YOU’LL EXPERIENCE WHEN YOU DON’T HAVE TO CALL OR WAIT FOR A SPRINKLER CONTRACTOR BECAUSE YOU DID THE JOB YOURSELF AND YOU KNEW HOW TO DO YOUR SPRINKLER REPAIRS RIGHT THE FIRST TIME! As you watch the sprinkler repair videos, you will know the best way to properly repair broken sprinkler heads, valves and lines, troubleshoot controller and wiring problems. Plus as an added bonus, I am including how to winterize your own sprinkler system . You’ll be able to do simple sprinkler repairs with the least amount of hassle and expense. Eliminate the guesswork, get the right parts the first time and then just follow my easy instructions. you won’t get hung up in the process and end up calling a repairman anyway. Every year I am called by home owners who get hung up in the process of repairing their sprinkler system, and they’re unsure how to proceed. They don’t know which part to buy or they bought the wrong parts or installed them wrong, because they did not have the right information they needed. Now they’re calling me to fix it! Many people who try to repair their own sprinkler systems without the right information find it is very frustrating, and they waste a lot of time getting stressed out when it could have been so simple. cost you big money — if you followed their advice. There’s no substitute for getting the right knowledge you need, all in one place. All you need to do is, sit back and relax and watch the sprinkler repair videos. You get easy, step-by-step, hands-on sprinkler repair instructions. If anything needs to be reviewed you can click the rewind button and watch the video segment over and over again until you are 100% clear on what you need to do. It’s as simple as that. – Different brands of valves and how they work. Total is approximately 2 hours and 45 minutes of videos! – Ability to repair all sprinkler parts the right way – the first time! – No more waiting for a Sprinkler Repairman! – No more paying big sprinkler repair bills either! – No more dead grass and shrubs and brown spots in your lawn! – Not when you are smart and can repair it yourself! You Get Over 2 3/4 hours of DIY Sprinkler Repair Videos With Lots of Special Tricks and Techniques I’ve Discovered From 18 Years Installing Systems! And NO, we have not filled them with useless information just to make the videos longer. Nope, there is no fluff and no filler. I cut these videos down to the essentials you need to get the job done. Because your time is valuable and you only want what you need to repair, start up or winterize your sprinkler system right – the first time! One of the problems I found on my Internet searches for free sprinkler repair information is that, many of the other diy sprinkler repair and winterization videos were too short and did not explain fully why you do the repairs a certain way; that is important to doing the job right. These short videos would only show you a small part of the job. I’m sure you would want to watch the whole repair process from start to finish. This applies to the troubleshooting and winterization videos too. When you watch the videos, you get it all –from troubleshooting what is wrong to buying the right parts for the repairs, to replacing the part and testing it. You want to be sure you are buying the right materials and using the right tools to keep yourself safe too. I show you all you need to know for replacing broken parts as well as how to adjust them properly. I cover replacing sprinkler heads, fittings, valves and repairing lines all the way up to how to set up your sprinkler controller — I cover the all the parts of a sprinkler system and anything that could go wrong that would need repairs. I want you to know exactly what to do to get the right parts and how to get the job done right and super fast! The videos are worth the money even if all you want to do is know how to winterize your system! But you get much more. We won’t give you bits and pieces like the other free diy sprinkler repair videos — they don’t covering everything. We have left nothing out, it’s all there in the videos. Additional Support: If you have questions with your sprinkler repairs, I am here to help and I offer email support for any special problems that might come up at no additional charge. Just email me after you purchase and watch the videos, I am happy to help you. Just shoot me an email from the access page.Custom Phone Support is available after you purchase the videos for a small fee if you have any special sprinkler questions. When You watch the videos You will understand exactly how to repair your sprinkler system from sprinkler heads to solenoids with nothing left out. And you’ll know how to properly winterize it and turn it back on in the Spring too. It’s simple to repair your sprinkler system yourself. Just watch my step by step repair procedures as I troubleshoot and install many types of sprinkler parts. You’ll be amazed how easy I make it look. You’ll wonder why it took so long for you decide to repair your own sprinkler because it is so easy to do — once someone shows you how! NOW YOU CAN SAVE THAT MONEY YOU WOULD HAVE SPENT ON A REPAIR MAN! You’ll discover steps that make your sprinkler repairs faster and easier than you thought possible! You’ll know what are the best sprinkler system parts to buy — so there’s no confusion choosing sprinkler heads, valves, connectors, pipe, solenoids, controllers and related equipment! You’ll know the right reasons why you troubleshoot and repair a certain sprinkler part a certain way! Discover my tricks of the trade from 17 years of sprinkler install and repair experiences — these tips will make your sprinkler repairs — fast, safe and cost you considerably less money! No Worries about exact placements of heads – I don’t use risers! The videos will show you everything you need to know for your own DIY sprinkler repairs and saving hundreds of dollars in the process! You’ll save yourself time, money, effort, frustration! By Eliminating Costly Mistakes That Can Double Your Water Bill Or..
By Causing You to Have to Redo Parts of It — Because You’ll Have The Right Knowledge You’ve Been Searching For! We’ll go over everything you need to know to do repairs to your sprinkler system — with the knowledge you need and can be proud of. You’ll be proud of yourself when you feel the elation as you see a newly replaced sprinkler heads pop up and water your lawn — when you know you did it yourself for the first time! No more paying through the nose for simple sprinkler repairs! Save your time waiting for the Sprinkler Repairman to come! And eliminate brown spots on your lawn and know how to install the right parts to save money on your water bill! Plus you’ll have the satisfaction of knowing you did it yourself too! Your FREE Special Bonuses For Ordering Today! Sprinkler Winterization and Spring Turn On Directions! Complete instructions from start to finish for winterizing your system. Save that $60 a year and do-it-yourself! Step By Step Instructions for Turning on Your System in the Spring! Got a special diy sprinkler install problem? Just email me. I’ll answer your question via email. I’ll explain anything you don’t understand and why you need to do things a certain way so you know why and how to do it right the first time. Private Phone Consult is Available for a small fee if desired just email me for cost and a time. Your Special Bonuses Are Included When You Order Today! If after viewing these videos for 30 days, you don’t feel like they will answer all your questions, and I can’t answer your questions via email, then I’ll rush every penny you paid back to you. You have nothing to lose. Your 100% Satisfaction is Guaranteed. You may be wondering if you could get this same information online for free. Well you will find when you search for free sprinkler repair information is you only get bits and pieces of the information you need. When you are spending the money to repair your own sprinkler system isn’t it worth $27 to ensure that the repair gets done right without a hitch? Or even for the money you would spend on just one repair for your sprinkler system? You bet it’s worth it! I’m sure you would want to watch the whole process from start to finish, (not the short videos that you can get for free online – they won’t help you much) and won’t give you videos and tips to save money and time for the whole job either. sprinkler controller! I cover the whole system from sprinkler head and valve repairs to solenoids and controller setup. Plus you get tips on how to save more money on buying parts too. 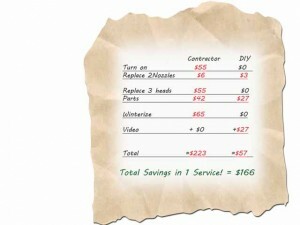 The sprinkler repair videos are worth the money even if all you want to do is know how to program your controller! And the cost of the videos can pay for themselves with just 1 call to the sprinkler repairman! But you get much more. We won’t give you bits and pieces like the other free diy sprinkler repair videos — they don’t covering everything. We have left nothing out, it’s all there in the videos. Anybody can do their own sprinkler repair. It’s quite easy when you know a few tips and tricks the pro sprinkler repairers use. Anybody can do this, male, female or any age group. This is a great opportunity to save money. A CUSTOM SPRINKLER REPAIR CONTRACTOR! SAVE THAT MONEY AND SPEND IT TO GO ON A VACATION INSTEAD! Please remember the reason why you are getting an extra $10 off when you order today… Is we are asking people to send us a testimonial for a short time to add more testimonials to this page. When you send your testimonial we think your words are worth 10 bucks to us, so we are giving you $10 off when you order today, but only until we collect enough testimonials and then the price goes back up to $37. I’m Grabbing My Videos Now! Your purchase is 100% risk free. In fact, I won’t even consider it final for 30 days. 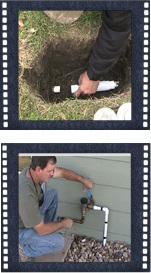 Download the videos; use them to repair and winterize your sprinkler system. If these videos aren’t everything I’ve said they are, I’ll buy them back from you! It’s Time To Build Your Sprinkler System! In order to build your sprinkler system with the least amount of effort you need the right tools. 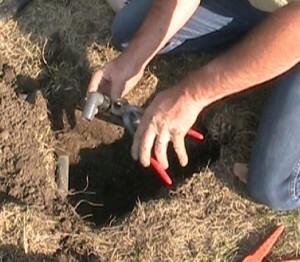 The “DIY Sprinkler Repair Videos” are the right tools you will turn to again and again. At only $27, and with my no risk guarantee, there’s no reason for you to wait. Order the videos now. Follow my simple advice on how to repair your own sprinkler system and you’ll have the neighbors calling you to have you fix their sprinkler systems! And you’ll simply smile when you know you can DIY the right way — so you don’t have to pay for winterization or repairs and they DO!To having your neighbors envy your DIY sprinkler expertise! P. S. Remember I offer a “LOVE IT or IT’S FREE” guarantee. If you are not happy with the quality of the information, or I can’t help you with your email questions to your satisfaction, then just send a simple email to me and I’ll refund every penny back to you. No questions asked and we’ll part as friends. You have no risk. All the risk is on my shoulders. So let me help you with the diy sprinkler repair information you need, now. I am looking forward to hearing from you when you send me the your emailed testimonial telling me how easy your DIY sprinkler system repair was to do!